A fresh Image Comics series is getting the silver screen treatment. The Hollywood Reporter announces that Skybound Entertainment, the company operated by The Walking Dead creator Robert Kirkman, has joined forced with Universal Pictures to adapt Kill the Minotaur, which just launched as a comic series back in June. A modern and outlandish take on the ancient Greek myth of Theseus and the half-man, half-bull creature the Minotaur, Kill the Minotaur still sees Theseus venturing to King Minos' Labyrinth as he did in the original story, but he must face off against a much larger and more fearsome Minotaur. With a fantastical setting and world-threatening designs dreamt up by the human sacrifice-devouring Minotaur, the series is both brutal and beautiful. The comic hails from Christian Cantamessa, one of the writers who worked on Rockstar Games' Western action-adventure title Red Dead Redemption, and Chris Pasetto, who co-wrote the Skybound-produced film Air, which Cantamessa directed. Lukas Ketner and Jean-Francois Beaulieu share art credits on the comics series. Here's a short synopsis for the series: "Athens lost the war to Crete. Now, they pay tribute to King Minos by sacrificing their best citizens to his unearthly labyrinth. Conspirators believe Theseus can be the hero they need to end the mad king's bloody reign… but no one on this world has ever encountered anything like the savage minotaur. 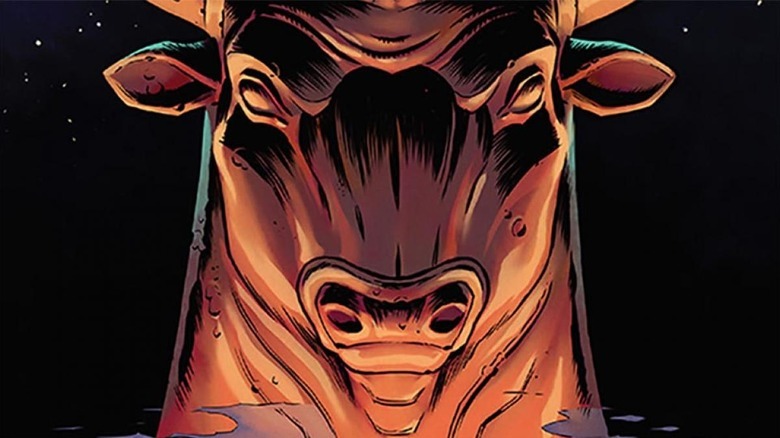 Chris Pasetto, Christian Cantamessa (Red Dead Redemption), and Lukas Ketner (Witch Doctor) reinvent the most fearsome beast of all with this horrific tale of heroism." Both Cantamessa and Pasetto are on board to pen the script for the upcoming feature adaptation. The producers hope the project will translate into a massive success as a blockbuster sci-fi thriller. "When we created the comic we wanted to put our own spin on a classic Greek myth, incorporating strong relatable characters and spectacular scenes so it would read like a blockbuster movie," said Cantamessa and Pasetto in a statement. "It's a dream come true that we can now make this story come alive on the big screen." As we wait to hear more about the Kill the Minotaur adaptation, take a look at the comic book movies that almost happened.